If you are going to spend some time in Manandavady, then a brief trip to Pazhassi tomb is worthwhile for a few of reasons. It is right in town, easily reachable by hiring an Auto rickshaw or simply by walking. The tomb and the adjacent museum shed some light into local heritage. And finally, the monument and the surroundings are attractive enough to spend an hour or two. Kerala Varma Pazhassi Raja orchestrated prolonged guerrilla warfare against the spread of dominance of British East India Company in the region. A prince belonging to the local Kottayam royal family, he was very well supported by Kurichias, the tribal people. They formed bulk of his army. The rebel prince caused serious setback to the British. Removing him at any cost became a priority for them. By bribing someone in his inner circle they ultimately came to know about his whereabouts. Then the troops were able to surround him in the jungle. There are different opinions about how he died. Some say he poisoned himself to prevent capture while others say he was killed in combat. No matter how it happened, the person who is dubbed ‘the lion of Kerala’ met his death in the year 1805. Pazhassi Raja’s opponent, Malabar Sub Collector Mr Babar, treated the fallen warrior’s body with respect. 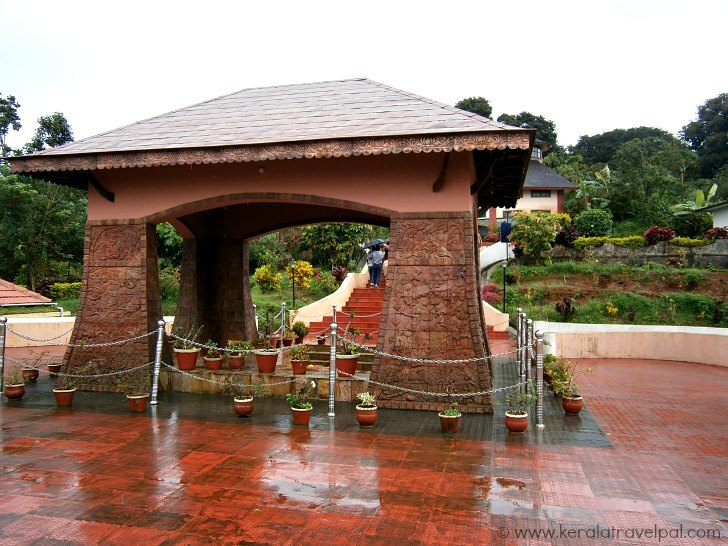 The monument stands at the place where Pazhassi Raja of Kottayam royal family was cremated. 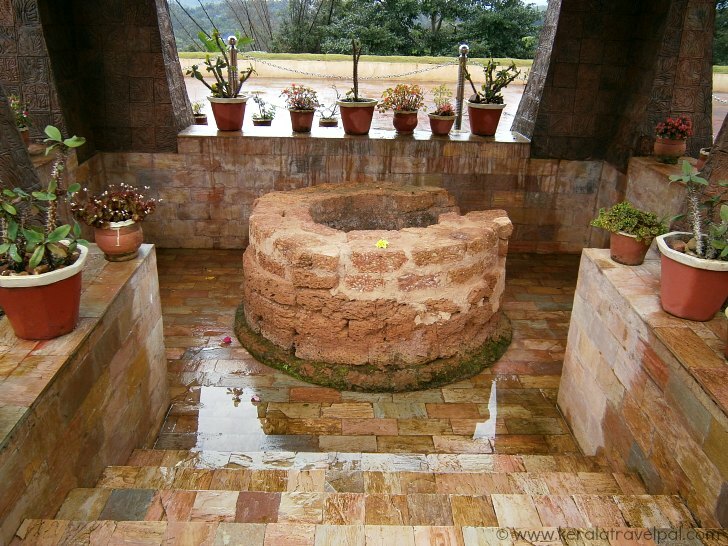 Pazhassi tomb and the nearby underground museum are created by Eugene Pandala, the architect who also designed Banasura Sagar Dam. Simple, yet stylish the monument is an example of the brilliant use of mud. The museum has a limited display of local artefacts. One item that takes up a lot of attention is the sword of Pazhassi Raja. 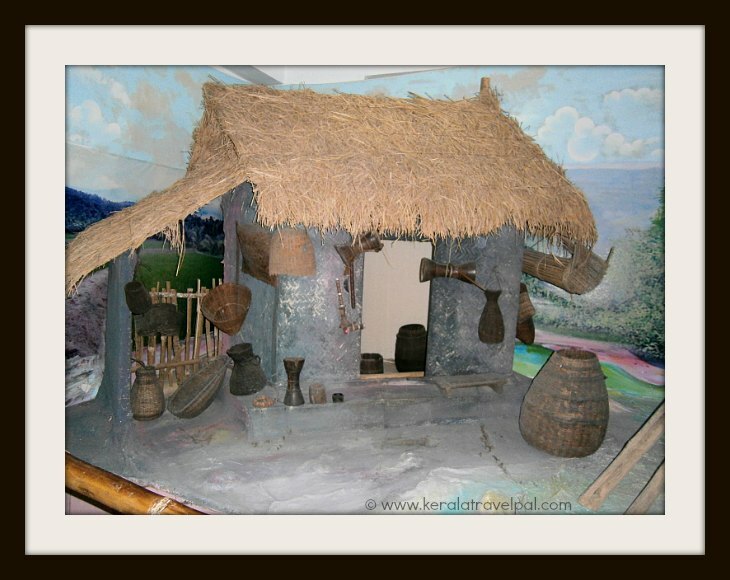 If you are interested in Pazhassi artefacts, another place to visit is the Pazhassi Raja Archaeological Museum located at Kozhikode. There are a few hotels and lodges in Mananthavady town. Resorts are generally scattered out of town, mostly in proximity to tourist attractions such as Banasura Sagar Dam and Kuruva Island and so on. Similarly we find several home stays here and there although not in the middle of town. Pazhassi Tomb is in Mananthavady town near the Government hospital. It may be about 1 km from the town centre. Manandavady is in North Wayanad and accessible by road only. The nearest airport at Kozhikode is about 132 kms from here. Kalpetta is 32 kms and Sulthan Batheri is 37 kms from the monument. Nearest towns : Kalpetta at 32 kms, Batheri at 37 Kms. Railway Station : No rail access to Wayand District. Nearest Railway Station is Thalasseri at 80 Kms . Kozhikode Railway Station is at 110 Kms. Food Options : Restaurants in Mananthavady town. (Try Rolex Restaurant on Mysore Road. An ordinary looking outfit, they serve clean and tasty local food at reasonable price). Accommodation Options : Lodges and hotels in Mananthavady town. Best time to visit : Can be visited anytime during the year. Nearby Attractions : Chembra peak, Edakkal Caves, Soochippara waterfall, Kanthanpara waterfall, Kalpetta town (shopping & food), Jain Temple, Muthanga Sanctuary, Tholpetty Sanctuary, Pakshipathalam, Pazhassi Monument, Kuruva Islands, Meenmutty falls and Thirunelli Temple.